The China Real Estate Appraisal Center and the China Real Estate Information Corp, the country's largest real estate information service provider, have released a joint list of the 50 Chinese real estate companies with the highest sales in 2013. 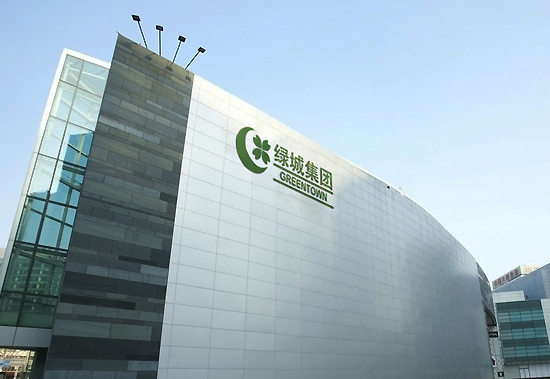 China Vanke topped the list, with sales of 174.06 billion yuan (US$28.7 billion) last year, followed by Greenland Holding Group and Wanda Group. With the rapid growth of China's housing market in 2013, real estate companies performed well. According to data from the National Bureau of Statistics, from January - November last year, real estate sales in China reached 6.99 trillion yuan (US$1.15 trillion), with a year-on-year growth of 31 percent. The top 50 companies outperformed the national average, with total sales of 2.14 trillion yuan (US$352.35 billion), up 36 percent. The report also indicated that the threshold for the top 10 spots increased to 55.4 billion yuan (US$9.13 billion) from 10 billion yuan (US$1.65 billion) in 2007. The following are the 10 Chinese real estate companies with the highest sales in 2013. Recent reports have shown that China Vanke had the highest sales among China’s real estate companies in 2013.